‹‹ How I spent 4 years to get a working Video Surveillance System! I always enjoy the electronics aisle at Costco. 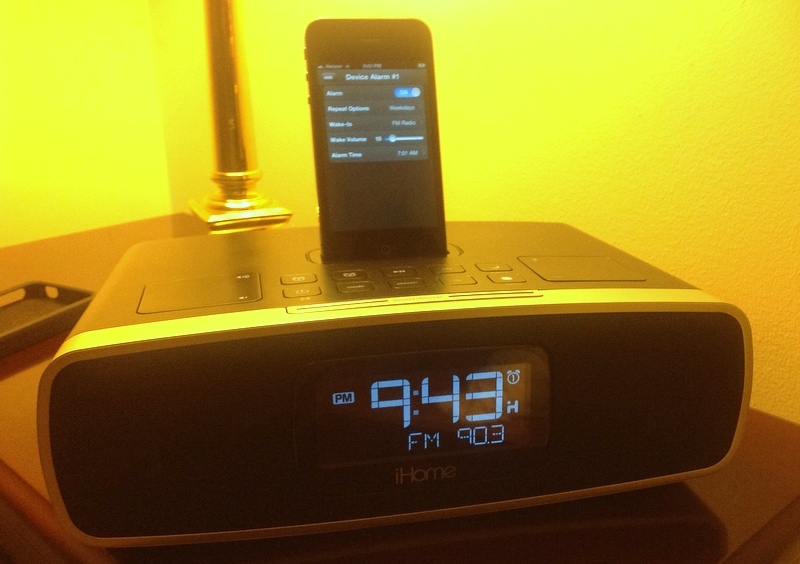 Monday an iHome App-enhanced dual alarm stereo for $60 caught my eye and I brought one home. It lets you charge your iPhone at night and wakes you up in the morning. Setting it seemed a little complicated, but without reading the manual I thought I had figured it out. However, after two mornings with no radio alarm I got out the manual. Compare this new device to an old alarm clock where you set the alarm time and pulled out a button to "arm" it. The iHome sets the alarm by executing the following 18 steps. This is my summary of the manual. Disarm alarm by pressing Alarm Button once, rearm by pressing it again. When alarm sounds press Power Button to turn it off and reset for the next day. However, this is not all, there is a set of iPhone Apps the ihomeaudio.com website says "Welcome to a new level of hardware and software integration. From music to sleep to connectivity, we are committed to making your home the most interactive experience available. This is only the beginning." For me I hope it is the end. One of the apps called iHome Set provides a touch screen interface on the iPhone.